The work done with the ALGON company, an expert in joining steel tubes together. Project: it is very detailed and interesting. It is based on a new machine for making a contract chair (multi-axis tube bender and robot welder) and produced to meet all the conditions demanded by this sector (contract furniture): stackable, with armrests, wooden seat, upholstered, plastic. In this work the main idea is to reduce the operations as well as the number of parts -4 parts in all-as well as the quantity of materials and assembly time. The various parts can be dismantled when the chairs are recycled. As many as 30 chairs can be stacked vertically. 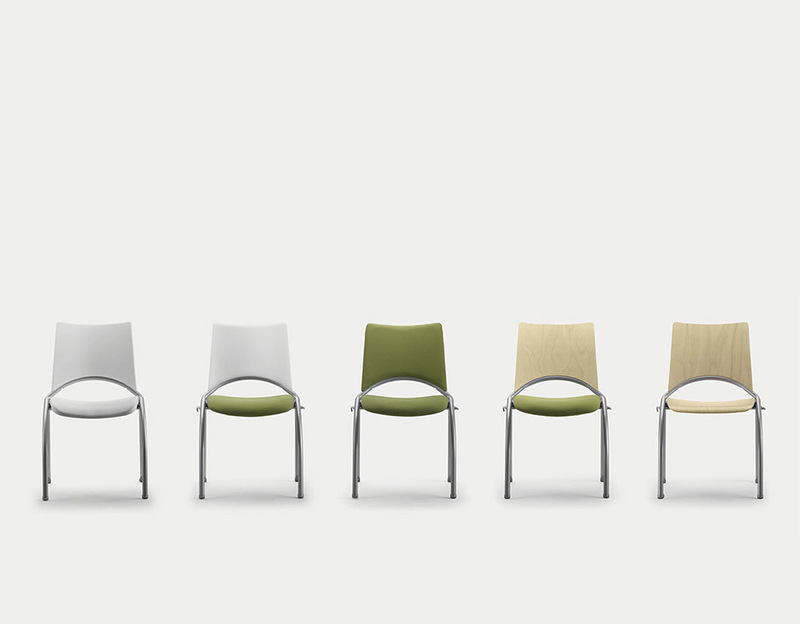 To date, one million WAP chairs have been sold worldwide. This design has become a reference in its range.